Photos: On church wall. Macroom, Cork, SW Ireland. 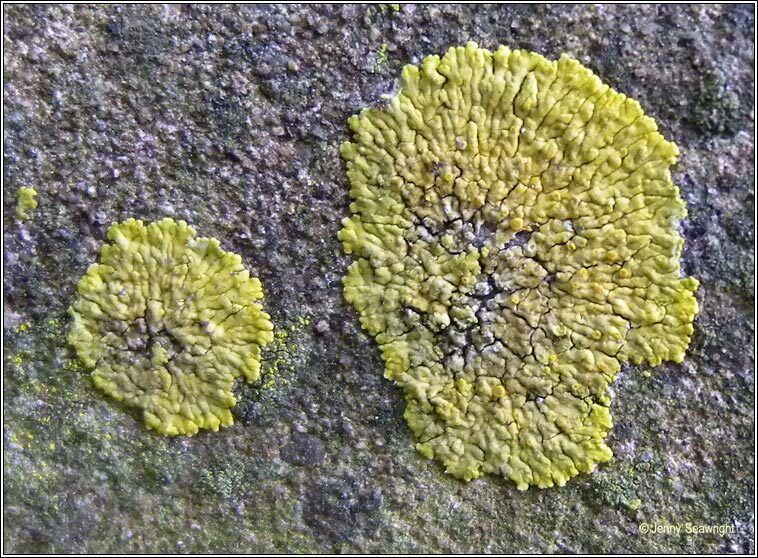 Placodioid yellow lichen with a yellow or greyish-yellow areolate centre and flattened pruinose lobes. Colour is greyer in shaded situations. 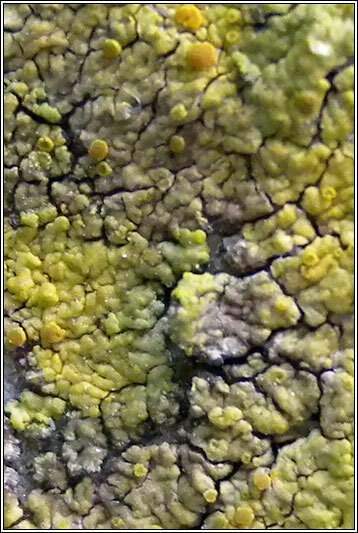 Brownish-yellow apothecia with smooth or crenulate margins and simple spores. Can form large patches. 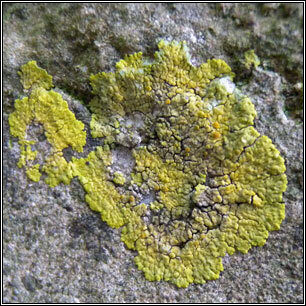 Usually found on man-made substrates, cement, concrete, gravestones. 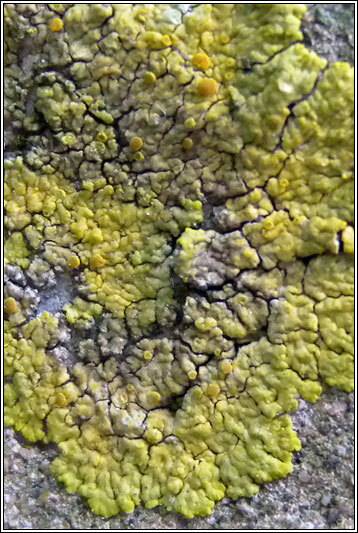 Less frequent on hard calcareous rocks.